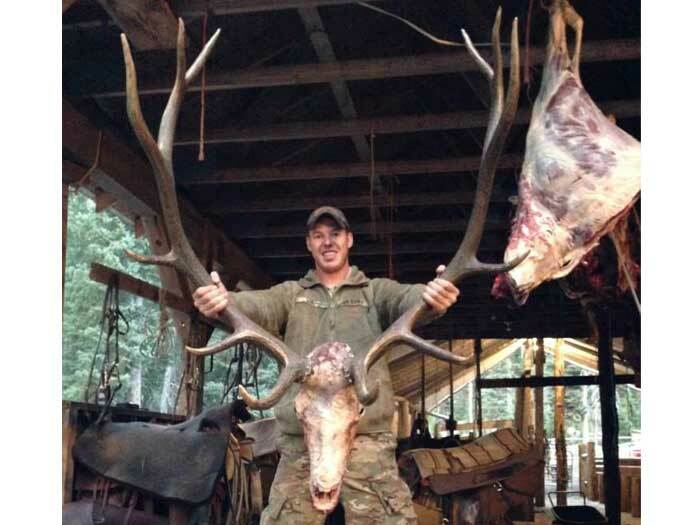 Idaho Mule Deer Hunts and Idaho Elk Hunts! 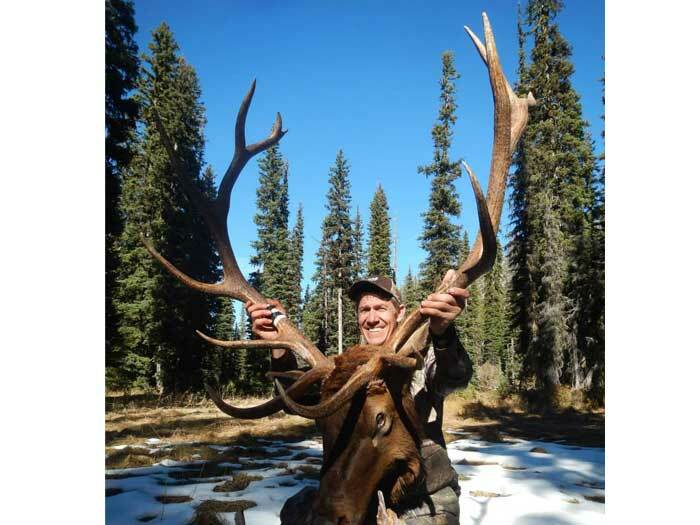 We invite you to hunt with our experienced Idaho elk hunting outfitters for backcountry trophy elk hunting in Units 33 & 34 of the Sawtooth and Frank Church Wilderness Area. 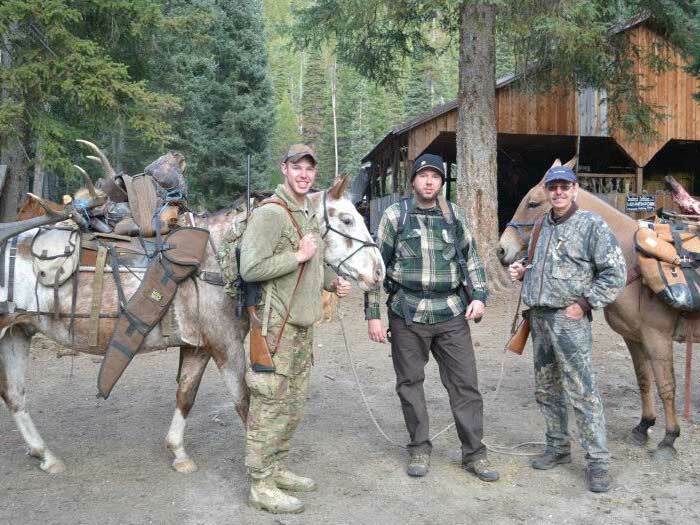 We also offer combination hunts with your elk hunt to include Idaho Mule Deer Hunting, Idaho Bear Hunting or Idaho Wolf Hunting. 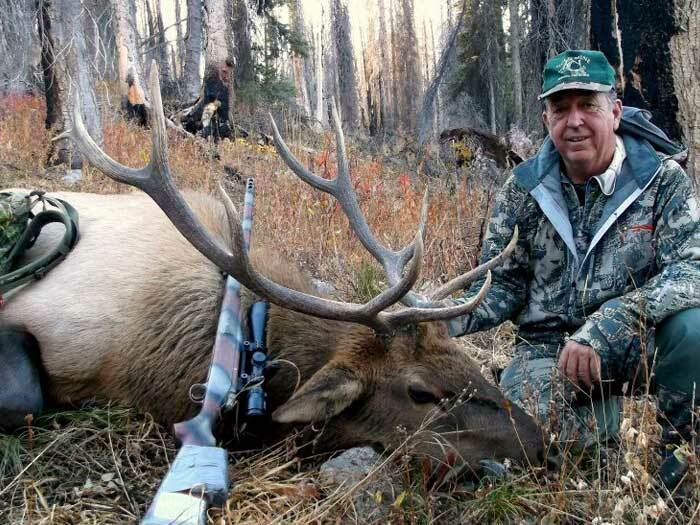 Our western Idaho guided elk hunts offer exceptional big game trophy hunting in the rugged backcountry hunting land where wildlife abounds; surely you won't be disappointed! If you haven't had the opportunity of bugling an elk within bow range, you haven't had what many will say is the ultimate hunting thrill! 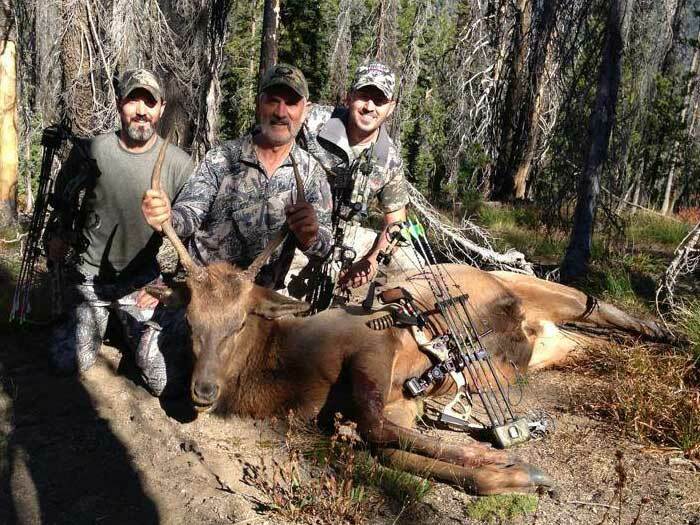 Idaho Archery Elk Hunting Season generally starts the first week of September and continues through the month. 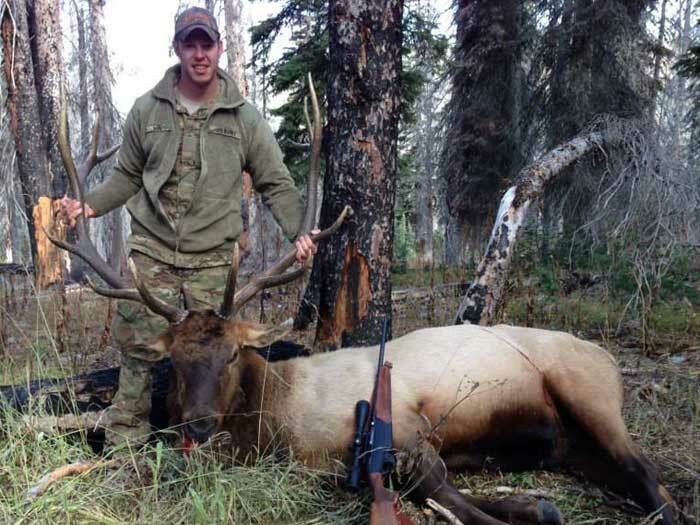 Idaho Rifle Elk Hunting Season is October through November. 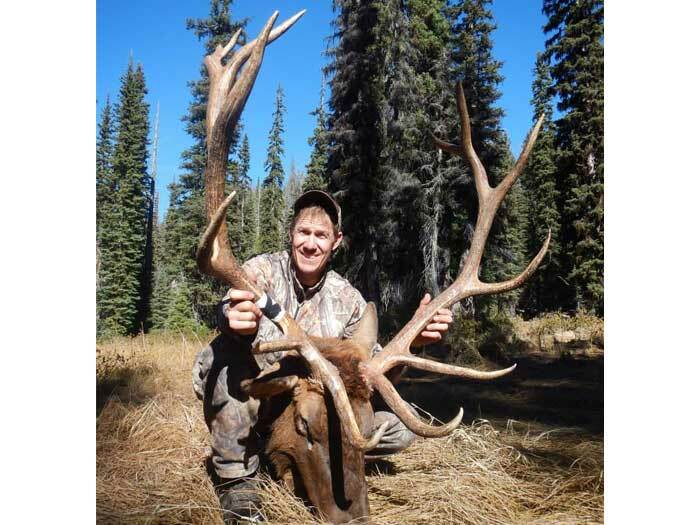 Since 1969, Deadwood Outfitters elk hunting guides has been successfully hunting the Sawtooth Units 33 & 34, having archery as well as rifle backgrounds and enjoy catering to both on these exciting Idaho Wilderness Hunts! Idaho's bull-cow ratio is one of the best in the Western United States. 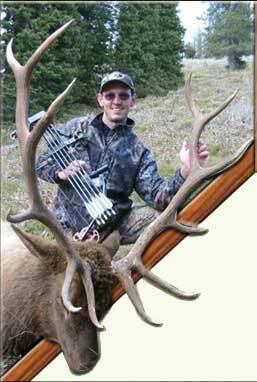 An ideal way to elk hunt, an opportunity to take full advantage of your hunting experience and really enjoy the time you have available. 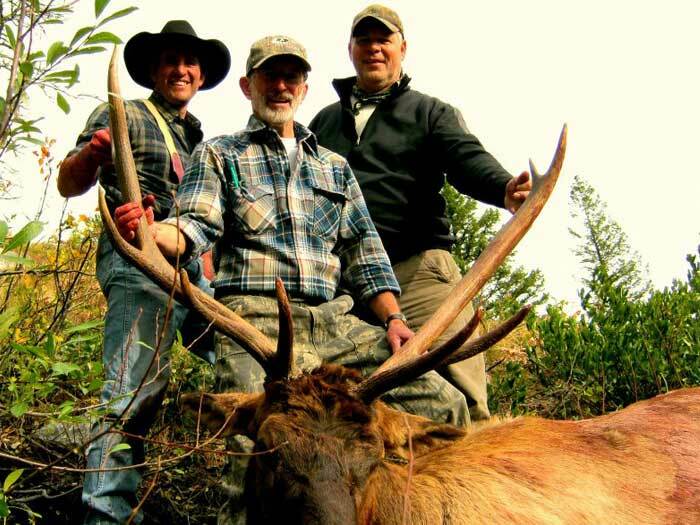 You may choose a full 5-day or a full 10-day guided elk hunt. 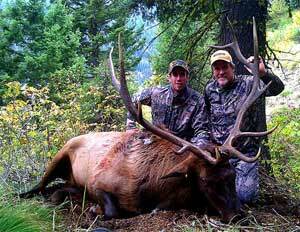 Our experienced Idaho hunting outfitters will plan your elk hunt into areas which have proven successful. 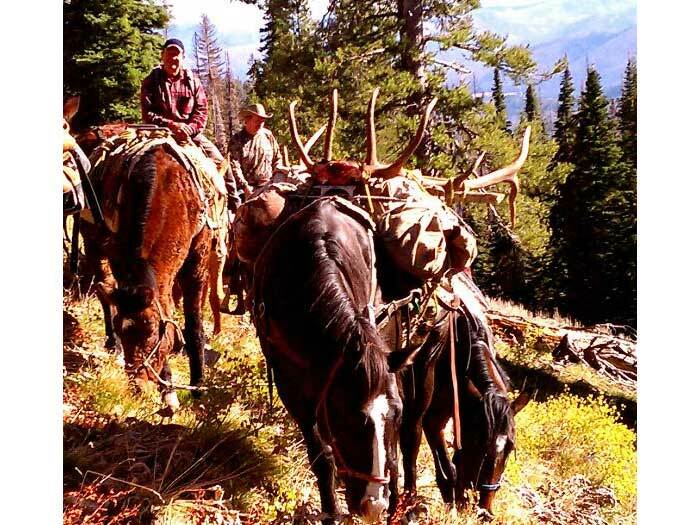 Our professional Idaho hunting guides know the areas where the open slopes are, the heavy timber, the saddles in the ridges, and the deep draws where elk are known to roam. You will ride experienced mountain horses, be accommodated in comfortable rustic cabins, be served tastefully prepared hot, hearty meals, and your kills will be properly caped and cared for. A 50% deposit is required to confirm your hunting dates.The balance is due upon arrival in cash, cashiers, or certified check. On our drop camp hunts, you provide food and cooking utensils, plus rifle, bedroll, licenses and tags, any personal items. We will have already set up a tent in a good hunting area complete with stove and cut firewood. We will pack all of your gear in and out of the camp. 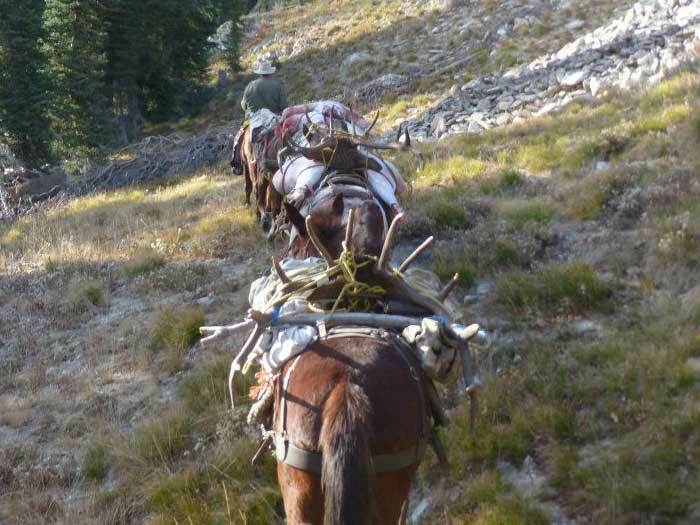 You will ride in and out on good mountain trained saddle horses, and we will pack all of your game. A radio will be provided so you can stay in touch with the base camp during your hunt. This is a great way to enjoy big game hunts in excellent hunting areas. 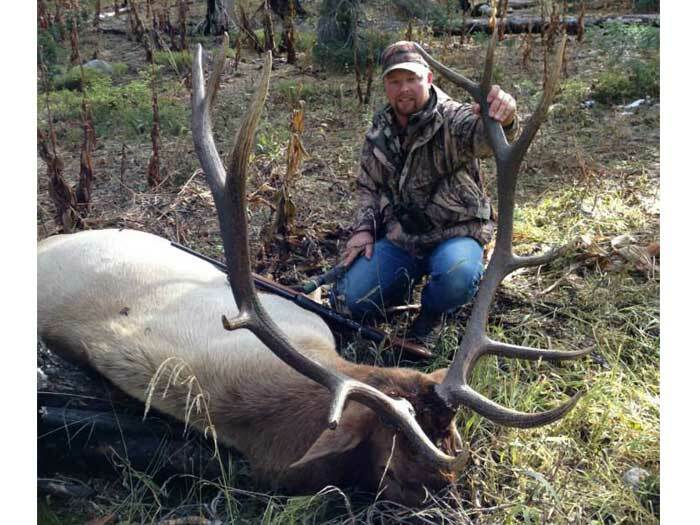 This Idaho elk hunting trip is for five days but usually arrangements can be made to extend this time if desired. A minimum party of four is required for rifle season and a minimum of two for archery season. 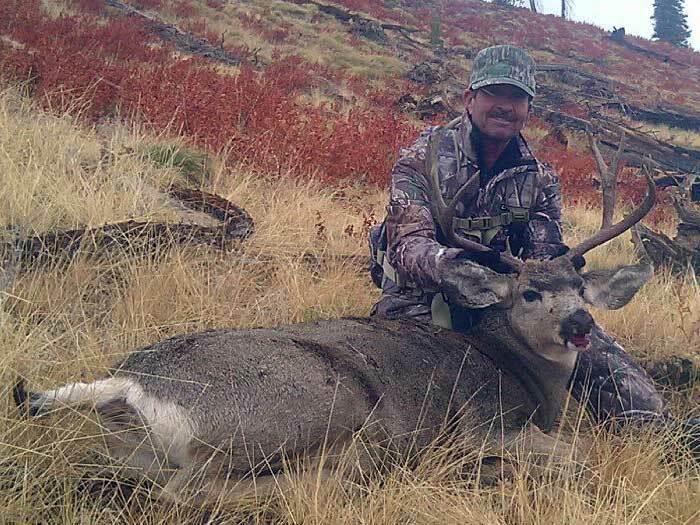 Reserve your Idaho Guided Elk/Mule Deer Hunt early as we must limit the number of hunters! Family owned and operated Deadwood Outfitters values the unity of family, offering a 25% discount for the young hunter you bring for their first hunt with us! Youth hunting for both residents and non-residents is promoted by the Idaho Fish and Game offering reduced license and tag fees. 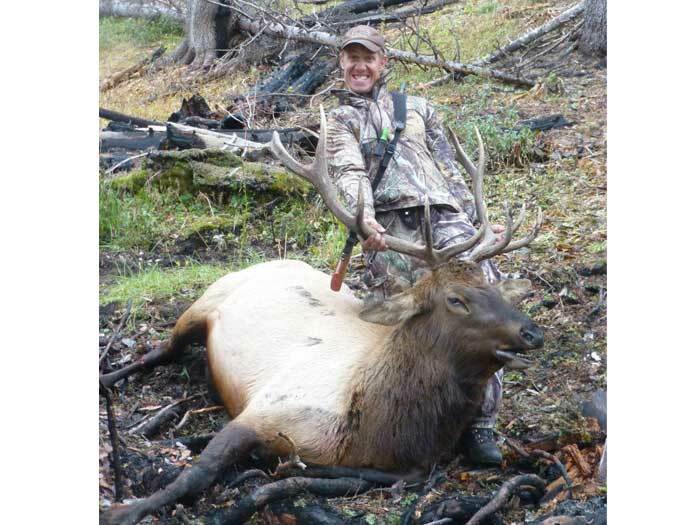 Click here for tips and articles on Elk Hunting in Idaho!